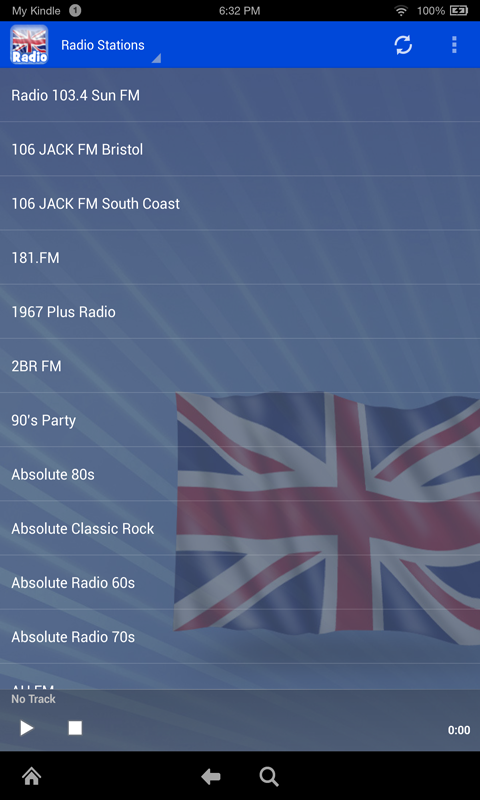 Free online United Kingdom radio stations and music. Internet radio stations broadcasting in MP3 format quality (great for streaming). Can work on 3G and other mobile internet connections, but works best with faster connections like WIFI and 4G. If you are getting an error on a particular station, please take into consideration that some stations are available at different times of the day, and depend on the amount of listeners currently listening. Also errors can occur due to hardware bugs and incompatibility with stream formats which can vary from device to device. This is one reason why we have many stations so that there can be at least 1 stream that can work for everyone. If a station is consistently not working then please email support. So that we can review all stations and update from our servers. 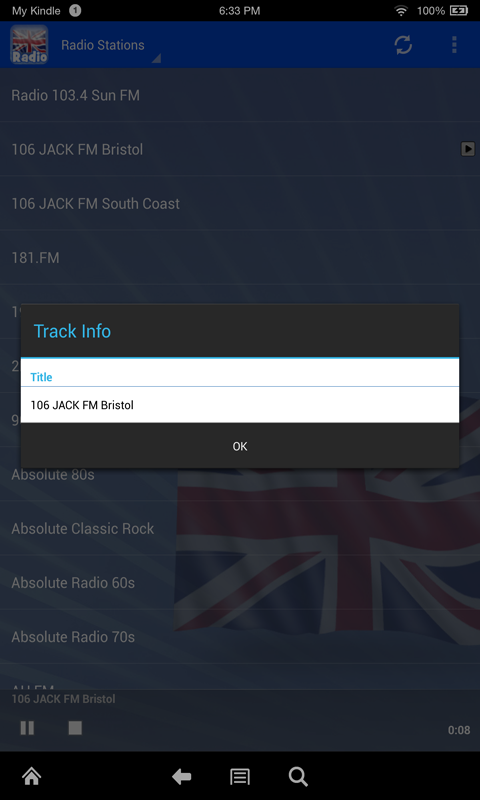 Click the circular refresh button at the top right to see changes to the stations list.